Save time and money by working with our Lint Free Xtreme Applicators. These non-abrasive, large surface wands are easy to manipulate and leave no fibres behind. 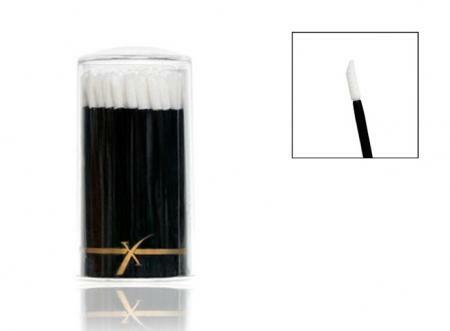 The unique material on the tip holds fluids in a non-drip suspension instead of absorbing them, yet quickly and gently releases the fluids onto the destined area (lashes, eyelid, etc. ).